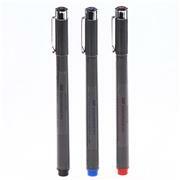 For permanently marking cloth, cardboard and plastic Red, green, blue and black ink will not fade at ultra-low temperature Smudge-proof Consists of four, extra-fine point pens in red, green, blue and black. 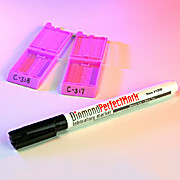 Permanently notate samples and storage boxes with Thermo Scientific™ Cryoware Permanent Markers and Pens, which can easily withstand cold storage temperatures. 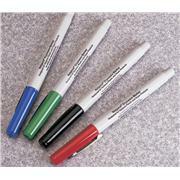 Cryoware Black Markers Marks permanently Black ink Used for marking cardboard and polycarbonate. 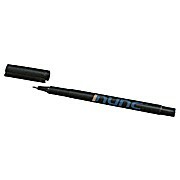 Ink will not fade at ultra-low temperatures. 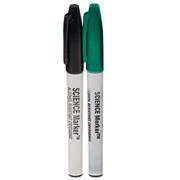 Smudge-proof. 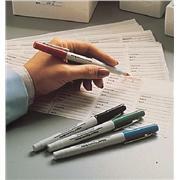 Packages consist of four extra-fine-point black pens. 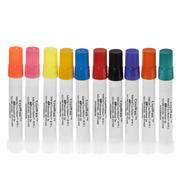 Cryogenic permanent marker Alcohol resistant Water resistant Fine tip Compatible with Lab-TAG™ labels from GA International Inc. 6 markers per pack Available colors: Black, Green Alcohol-Resistant on most surfaces. Preliminary testing is required.